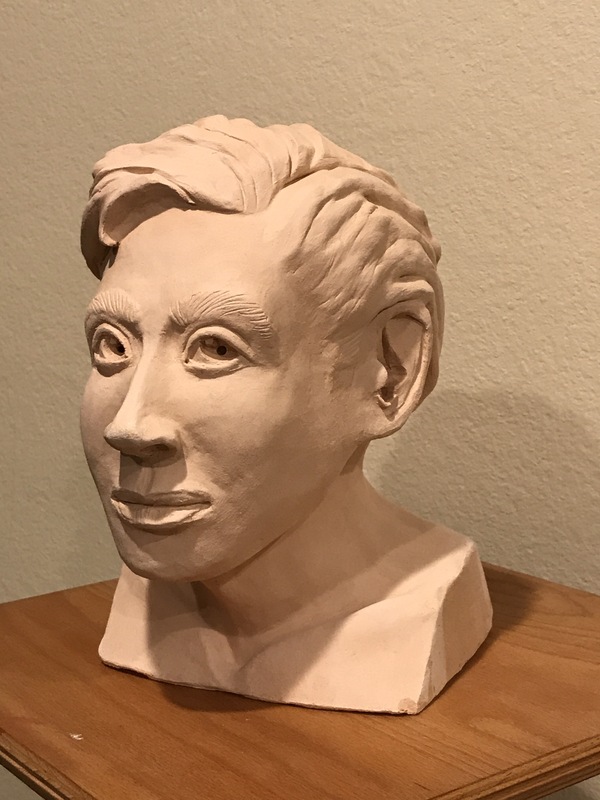 SO, I started taking a sculpture class two years ago. I had never worked in any kind of art medium besides drawing (no, you won’t see any of those) since I was a teenager. Writing had been my thang for as long as I can remember. My stepfather was an artist and painted and encouraged me to do so, but when it came time to decide on a future, art major was argued down by both of my parents. No money it it, apparently. So, almost 30 years later, I find myself somewhat disillusioned with my writing (no one wants my YA novels) and while the poetry is a very important and necessary creative outlet, I itched to do something with my hands. My wife and my daughter are both very talented artists, but I didn’t want to paint or draw or do digital art. Those were their pursuits, and I would always feel like I was crashing the party or playing catch-up. and I liked play-doh and sculpey as a kid. Why not sculpture? Below, you will see my first attempt at a human head. I have done more, and will post more later, but these things take a long time (for me) to do. If I put them all up now, I would have nothing else to talk about (who am I kidding? I never shut up). The sculpture is not based on any one person. 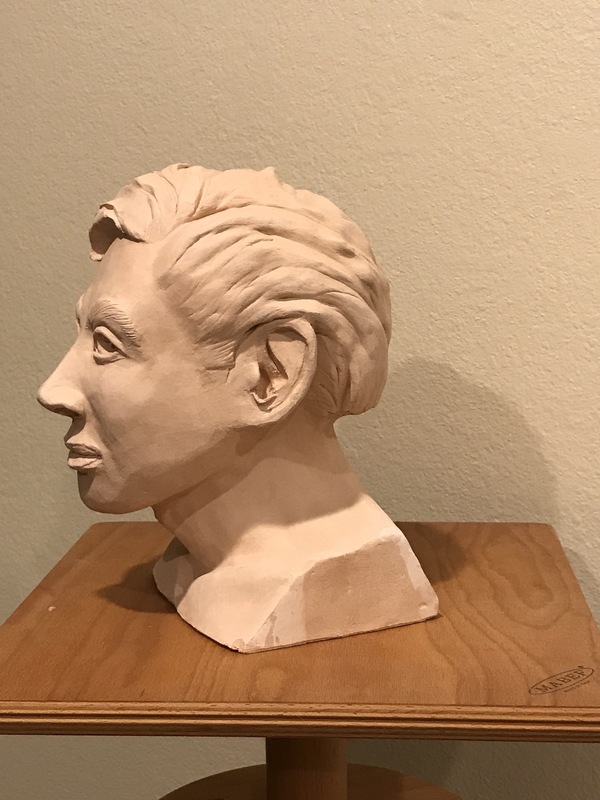 It is instead based on the ideal face, as my sculpture instructor puts it, the faces you see in mainstream advertising. The course I took was once a night for about three hours, for ten weeks. It took that long (plus a handful of weekends) to get this young man into shape. Maybe about 40-50 hours total. I may follow up with some process pictures of this piece if I can find them. Thanks for looking in!